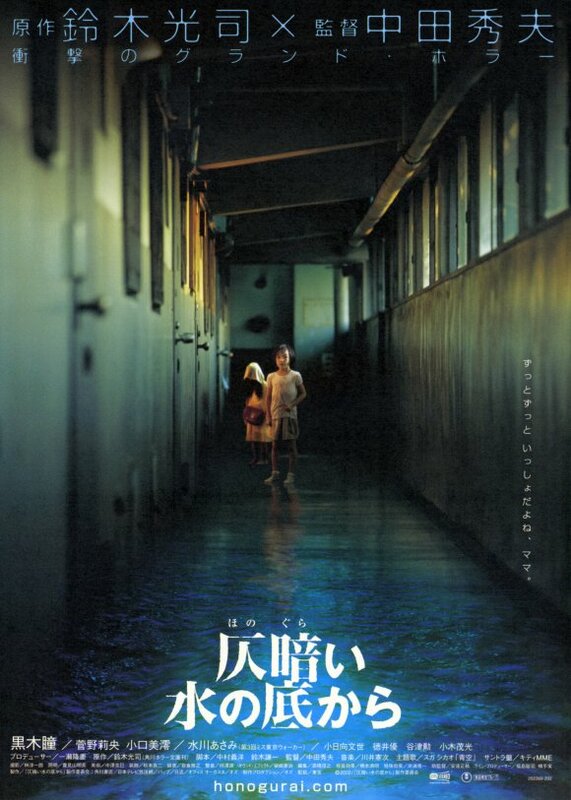 In the hands of Hideo Nakata (Ringu) who wrote and directed Dark Water, the film takes on a slow, easy-going pace that gets creepy as you move on. There’s too much wetness going on here, which is enough to make viewers feel drenched and possibly shivering–from the rain-soaked outdoors which the little girl braves with her tiny umbrella to the waterlogged ceiling caused by the leaky apartment above them. (Maybe it was Dark Water that brought ugly water stains into classic horror imagery.) As for the American remake, we love anything Jennifer Connelly stars in, but the original is still the winner. Anyway, Ikuko’s mom, played by the lovely Hitomi Kuroki, beautifully flits from being serene and frantic. She’s calm as she struggles to win custody of her child and raise her on her own, but in the end she unravels too as she discovers the source and reason of the mysterious leaks. The last scene of the film, the sacrifice scene in the elevator, is the most haunting of all—that look on the mother’s face—a combination of surrender, relief, joy, and regret–which has no English equivalent as yet but which the German might have–that look is unforgettable. And of course the sadness of Ikuko, now all alone in the world, is just infinite. So this is what Japanese horror films were all about back in those days: filled with moral dilemmas and irrevocable consequences—no serial killers or school kids pitted against each other and other carnage-filled flicks. Just the simple theme of mother and daughter. 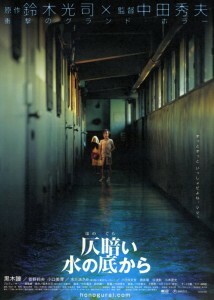 Cheesy as it sounds, Dark Water is a horror film with a heart. Albeit one which will haunt you for years, even decades to come. Click Here to Own and Watch Dark Water Now!